The new year is fast approaching. Somehow it seems like I blinked and it is 2015. In February Cami and I will celebrate our 10th anniversary. WOW! Just 2 months ago we welcomed our 4th child, Kaylee Albritton. Even more WOW! We are now a family of 6. Life is busy to say the least. I am sure the same is true of your life as well. Whether you are single, a single parent, newly weds, a growing family, or empty nesters, I am quite sure you find plenty of ways to keep yourself busy. With so much going on, our brains primary goal is to simply, to take our everyday tasks and send them into auto pilot. This is why as you drive to work everyday or pick up the kids from school, there are times you cannot remember a certain stretch of the road. You know the feeling, when you are waiting to go through the light and turn in and think, I don’t remember passing ________. And it kind of scares you. You think, did I fall asleep? No, your brain was just on auto pilot simplifying our everyday processes. In his book The Power of Habit by Charles Duhigg talks about an experiment where rats were placed in a maze and their brain activity was measured as they made their way through. The first time or two, their brains were running at near maximum capacity. All of their senses were clicking, but the more they ran the maze, the more their brains and senses disengaged from the process. Our brains ability and capacity to transition tasks to routines, allows us to do more. So while routines are good, stay in a routine long enough and it becomes a rut. And ruts can be difficult to get out of. Especially in ministry. If you have gone to church any length of time you know exactly what I am talking about. As a leader it is important to avoid getting stuck in ruts. People don’t want to follow some one who is stuck and going no where. One of the ways I try to avoid getting too bogged down in routine is by developing new focus areas as I move into the new year. These areas could use a little more attention both in my personal life and my leadership roles. So here is what I do. You don’t have to do it exactly like this but find a method that works for you. Determine a SPECIFIC LENGTH OF TIME. This does not have to be a year long process. Maybe there are four things you want to focus on building and you need 3 months for each. Be specific and write it down. Maybe it is getting out of debt and you know it will be a 3 or 4 year process. You are not tied down to a calendar. Clarify the WHY. Why are you doing this? Why this focus? Why now? Bring clarity to the process. Have a reason you are choosing to focus on this area of your life. Define the WIN. Begin with the end in mind. At the end of this specific time period, what will it look like if you have accomplished your goal? This should be short, with one sentence defining what it will look like. Determine your ACTION STEPS. You have to move. There has to be some muscle behind the mind. Ideas, thoughts and concepts need to be surrounded with action or they are going to ever happen. So what are 2 or 3 action steps you need to take to start moving? Write them down. As you get moving you will add more to the list but just get started. Make them simple. Something you can do right away. Just get started. All of this is for the purpose of bringing clarity and purpose to our life and leadership. So often we have big ideas, dreams and goals that are never realized. Why? Many times this is simply because we never take the time to clarify what it is we want to do or how we are going to do it. So saturate this process in prayer. 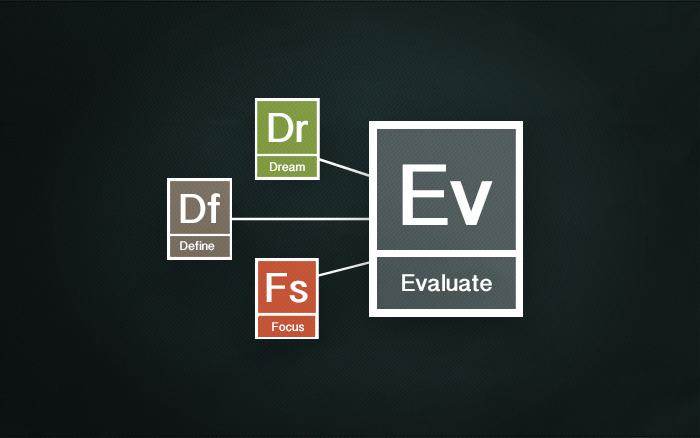 Evaluate, Define, Dream, Focus. May God bless your life, family and ministry as we move into 2015 and beyond! This is a series of blogs for Shiloh Road Leaders (staff, shepherds, deacons, and ministry leaders) to help you prepare and plan your ministry as we move forward into the new year and beyond. If you lead a team, get together as a team to work through these exercises. If you are over several ministries, encourage those ministries you oversee to make this a priority. So here is how my typical week goes. Sunday I preach so Monday I am brain dead. On Mondays I typically stick to meetings and administration. Tasks I need to get done, but don’t require a lot of critical thinking. Tuesday, my brain turns back on, somewhat anyway. So I typically spend a large portion of Tuesday locked away in my office studying, praying, meditating and listening. Now, I do not actually vomit every Wednesday morning. It’s a metaphor. Okay, so I know its not the prettiest picture in the world, but I think it communicates a point. I call it a brain vomit (other people do too). My head is full of ideas, illustrations, thoughts, stories, commentaries and I need to get all the important stuff out there. So how does a brain vomit work. Like I said, I sit down at my desk, with my door shut. I take a blank sheet of paper, I turn on the timer of my iPhone for 15 minutes and I go. I write down every single thought that comes to my mind, every story, phrase, verse, etc. that comes to my mind. There is NO filter, I just write it down, even if it doesn’t make sense. So why is this so important? Far too often our ideas never make it out of the realm of imagination. We have a thought, it escapes us and we really aren’t sure if we can get it back. For me this exercise helps me get everything floating around in my head out on paper. Sometimes thoughts form little streams, other times they never develop, other times they don’t come out in the sermon but in other areas. Not only do I do this basically on a weekly basis writing sermons, I also do it sporadically with my ministry. So after spending some time looking back at ministry in 2014 and defining your ministry as we move forward, now its time to dream. Take out a sheet of paper. Set a timer for 15 minutes. Answer this question… Remember, no filter, don’t let money, resources, space stop you. Just write it all down. 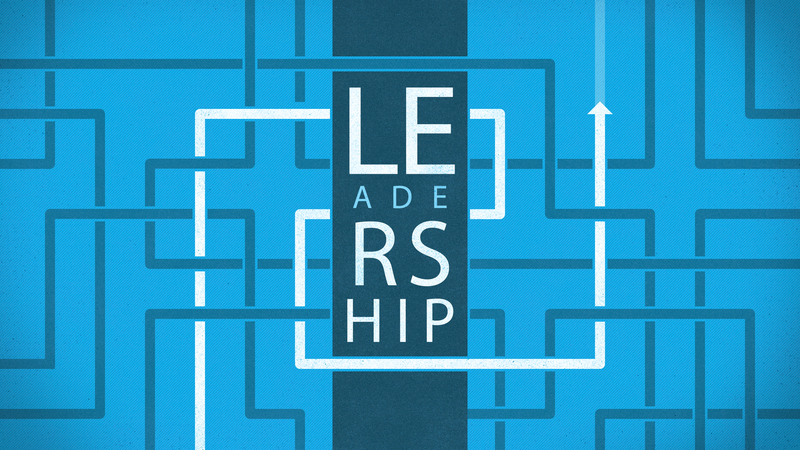 Think in terms of ministry structure, impact, reach, needs, etc. Write it all down! Ready, set, GO! Question: As your ministry moves forward into the future, what would you like to see happen in your ministry in 2015 and beyond. Earlier on in my marriage I had gotten a new phone. It was one of the first smart phones with GPS built in. My wife and I were going out to eat in Dallas for our anniversary, so I put in the name of the restaurant and headed for Dallas. Going from Cleburne, it is easiest to jump on HWY 67 which basically drops you off on the outskirts of downtown. As we approached 35W, the GPS began telling me to head north on 35W. I am driving and thinking to myself, “this GPS has no clue what it is talking about.” So, I keep on going thinking it will realize the “correct” way to get there, but it does not. It begins says, Recalculating… make a U-Turn. After the second and third Recalculating, I begin talking to the GPS (as if it could hear me) “No, I will not make a U-Turn!” Finally, after realizing the errors of its ways and my superior intellect, it remaps our trip the way I want to go. We are flying and everything is going good I was right and the GSP was wrong. About 10 miles from Dallas a warning appears in the middle of the screen, “Warning Construction Ahead, expect delays.” Now, my own phone was mocking me, as if the bright red stream of taillights illuminating the night sky was not enough, my phone needed to rub it in. So we wait, and wait, and wait. Eventually we made it to the restaurant, and yes, the GPS would have gotten me there much faster. It knew a better way to get there and had a much more complete picture. The problem was it did’t show me the bigger picture. If it had taken the time to say, “Gary, if you go this way you will get there, but you are going to get stuck in Dallas Construction Traffic, so go this way, trust me,” I would have done exactly what it told me to the first time. As a leader, you have to try to paint a clear picture for people of where you are going and how you plan on getting there. People want to follow someone who has a plan. People want to follow someone who knows where they are going. So if as a leader, you are not real sure of where you are going, or how you are going to get there, or what it is suppose to look like, then you will always have a hard time convincing people to follow you. Many times the problem leaders in the church face stem from not really knowing where we are going. Leading when you don’t have clear direction as to where you are going is next to impossible. So, as leaders it is really important that we work to define three things. One, where we are heading. Two, how we plan to get there. Three, what will “there” actually look like. As you are defining the ministry, begin with the end in mind. You are not just building with what you currently have, but what you hope to have. So, below are several questions to help you as you define the ministry that you are leading. It is also very important to revisit these questions on a regular basis, clarifying and redefining as you are growing and learning. Who is this ministry trying to impact? How does this ministry play into the over mission of Shiloh Road, to KNOW God and make Him KNOWN? What resources do we need for this ministry to be successful? What are the challenges you anticipate along the way? Draw an organizational chart for the teams and positions you need in place for this ministry to function at its fullest potential? What does “there” look like? What will be the first indication that this ministry is no longer effective in fulfilling its purpose? A few reminders as you engage in this process. 1. Priority of prayer throughout the process. 2. Invite other people into the discussion who are passionate about this ministry. 3. Begin with the end in mind. 4. Think big. We serve a God who is more than enough, who exceeds our expectations. 5. If you want to go deeper into this process, here is a strategy-worksheet_srcc we have adapted for Shiloh Road. It will go much more in-depth into this process of defining ministry. This will be a series of blogs for Shiloh Road Leaders (staff, shepherds, deacons, and ministry leaders) to help you prepare and plan your ministry as we move forward into the new year and beyond. If you lead a team, get together as a team to work through these exercises. If you are over several ministries, encourage those ministries you oversee to make this a priority. When I was in Cleburne, my good friend and secretary Lisa Jo alerted me to a bad habit I had developed. I have a tendency to get frustrated with people when I had “throughly and adequately” explained something to someone. Once I realized they did not understand I would explain myself again. This time only slower and louder. The instructions would not change, just my tone and frustration level. I would keep saying the same thing, hoping it would finally get through. So many times we do this in ministry… What is the plan for the coming year? Same thing as last year. What do we need to budget this year? Same as last year. Sound familiar? The scary thing is many churches and ministries operate like this. My guess is as a kid you had an amazing imagination, you were a doctor, athlete, policeman, fireman, nurse. You never left your home but could travel around the globe. You had the ability anytime, anywhere to let your imagination fly. My guess is somewhere along the way someone convinced you it was no longer necessary, or maybe even dangerous to have such an imagination. So we find a routine, we get comfortable and we settle in. It’s life. However, I believe God called you to more than just a routine. He has invited you into his story to serve, lead, and impact the kingdom. His desire is for you to fully engage your mind and your creativity. Most people think the creative ones just “shoot from the hip” and everything is just thrown together haphazardly, but I would disagree. The most creative people I have come across are planners. The carve out time to think and dream and plan. There are so many things I am thankful for at Shiloh Road and I am so excited about what God is doing. So as we move forward into 2015 I want to invite you to sit down and evaluate and dream. 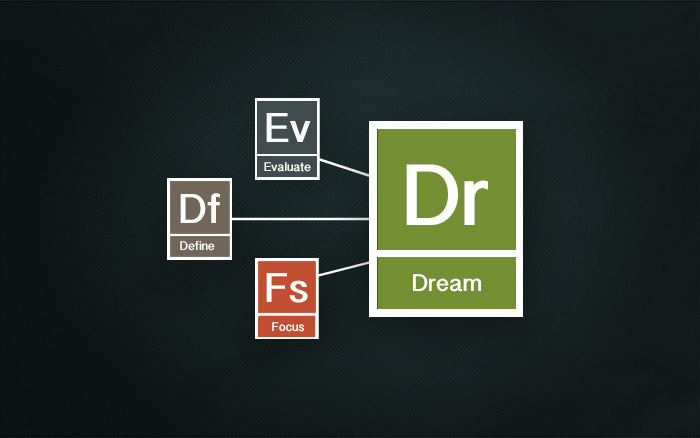 Over the course of the next 3 weeks, there will be 4 blog posts (Evaluate, Define, Dream, Focus) to help you to effectively and creativity plan with 2015 and beyond. This is not for a grade, you do not have to turn it in, this is simply to help you plan for 2015. You will get an email link for each one, where they will be posted to my blog, garyalbritton.com. 2. What aspects of your ministry did you enjoy most over the past year? 3. What aspects of your ministry did you enjoy least over the past year? 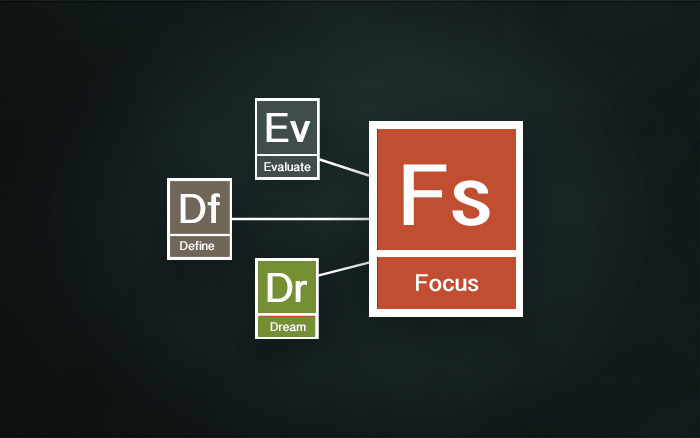 Do you ever have a tendency to lose focus? I do. It started to become more and more evident during my Ironman training. One afternoon, I was running by myself, a seven my mile run, very hilly loop in the country. The first two and half miles include about 350 vertical feet of climbing. I started out great around an 8:30 pace. For me it is great and I managed to keep it sub 9-minute miles through the first half of the run. The run flattens out nicely for the middle part and finishes off with more climbing. What was fascinating, was as I was running on the flatter portion of the run, I looked down at my watch and found my pace had gone to around 10:30 a mile for the middle part of the run. I was not breathing hard. My heart rate was in the mid 130’s. I was fine and so I picked my pace back to finish out my run. So why does it matter? Do it too often and you aren’t getting better, your just going through the motions to do them. We have to learn to become nearsighted and farsighted at the same time. I know that makes no sense, but it is important whether you are an athlete, a leader or a follower of Jesus. I was far sighted. My mind was set on April 7th. 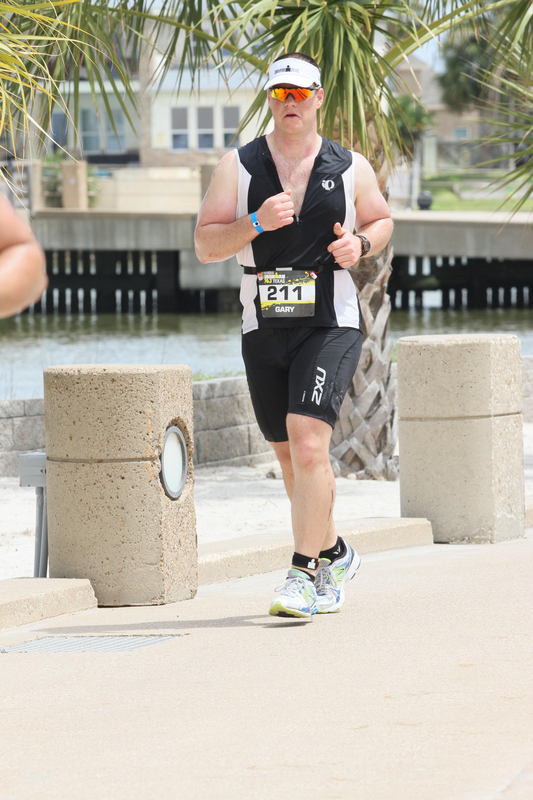 All I knew was I would step up, well actually swim up, to the starting line of a 70-mile race and if I were not prepared, I would not make it. A date had become my focus. The problem was I began just doing all the things needed to get ready for the date, rather than focusing on all of the steps in the journey and getting better along the way. Toward the end of my training, about 3 weeks away from the race, another swimmer at the pool I train at name Chris put it in perspective for me. Chris is a great athlete; he is in his mid 50’s probably and has done some amazing endurance events including super marathons and full Ironman’s. I asked Chris one day what his next big event was going to be. He looked at me and said, “well I am going to swim the best I can to the other end of the pool and then I am going to swim back.” I was expecting to hear, I am doing a marathon or an Ironman but his entire focus was on swimming the next 50 yards in the pool. It occurred to me maybe I had missed the point of my training. It was not to just do it; it was to get better. Maybe we do the same in our walk with Jesus. Focusing so much on the big picture and how the journey ends that we miss out on growing through all the little steps along the way. The reason we read scripture is not to know the Bible better but to know Christ better. To understand his will. To spend time with him simply because you are hungering and thirsting for Him. God feared this would happen to the Israelites, he feared they would lose focus. 10 When you have eaten and are satisfied, praise the Lord your God for the good land he has given you.11 Be careful that you do not forget the Lord your God, failing to observe his commands, his laws and his decrees that I am giving you this day. 12 Otherwise, when you eat and are satisfied, when you build fine houses and settle down, 13 and when your herds and flocks grow large and your silver and gold increase and all you have is multiplied, 14 then your heart will become proud and you will forget the Lord your God, who brought you out of Egypt, out of the land of slavery. 15 He led you through the vast and dreadful wilderness, that thirsty and waterless land, with its venomous snakes and scorpions. He brought you water out of hard rock. 16 He gave you manna to eat in the wilderness, something your ancestors had never known, to humble and test you so that in the end it might go well with you. 17 You may say to yourself, “My power and the strength of my hands have produced this wealth for me.” 18 But remember the Lord your God, for it is he who gives you the ability to produce wealth, and so confirms his covenant, which he swore to your ancestors, as it is today. It is amazing how easily we can lose focus as the terrain becomes easier. It is in the difficult times we cling to the Father, we focus on Him and thirst for Him. But when things are easier we tend to lose the nearsightedness required to walk with Christ. It is in the difficult times we focus more on one step at a time. In the last few weeks we have seen the Boston Marathon bombings, a Fretilizer Plant explosion in West, TX, have good friends who lost a child and others trying to understand the magnitude of a young father suffering with cancer. It hurts me to see so many others in pain and I rush to say, “God where are you.” Maybe his response would be the same as it was for Israel. I am their leading you through this vast dessert. Notice, God did not take Israel out of the dessert He led them through it. And there is a huge difference. He provided for them in the midst of their struggles, but he did not take their struggles away. Maybe it is not until God has led us through the pain and heartache of the dessert that we are able to look back and see his finger prints all over canvas of our life. One thing I have learned in ten years of ministry is there will be lots of disappointments. Especially, for those of us in Student Ministry, discouragement will be abundant. Students, parents, leaders, members will all let you down and the flip side, you will most certainly let them down as well. So I am writing this to let all of my friends in ministry know how to fix the problem…..
Get rid of all the people! There you go. If you eliminate all the people in your church, the problem of disappointment will be gone… unless you are a numbers guy. Now of course I am joking but from time to time we all feel that way. The problem is people, but this is what God planned. Think about it, God decided to use broken and messed up people to help broken and messed up people. So, if discouragement in ministry is inevitable, where is the hope in ministry? Because, in the illustrious words of the late Charles Siburt, “there is no possible way to contort the human voice to make whining appealing to the human ear.” So how do you deal with discouragement? People will follow the example we set. If we are unwilling to admit our brokenness, it is pretty ridiculous to expect those we are leading to admit their brokenness. 2. Surround yourself with a close group of people you can share things with, who can help to encourage and pray for you. For me there are several different circles. One circle consists of people in our church, who know me and my ministry very well. They know where I want this ministry to go. They offer an open ear and loving voice. They know my heart and genuinely care for me, not just what our ministry is doing. These are the people I go to with leadership problems, thoughts, dreams. I also have a close circle of 5 or 6 friends in ministry, who are in the trenches, we share ideas and dreams. We seek advice and counsel from each other drawing on the experiences of each other. The most important circle though is my family. This is also my first and most important ministry. I have to focus on taking care of this relationship, because the health of this relationship, with my wife and children greatly affects my mindset in the rest of my ministry. 3. Our job in ministry is not to fill people up, it is to empty yourself. Somewhere along the way someone convinced me it was my responsibility to fill people up to send them out. They were wrong! You have absolutely no control in ministry of how people with respond to the message of Christ. Jesus told us, there would be people who hear this message and want absolutely no part of it. There would be people who say they are a part of His Kingdom and would continue to choose other things. So it floors me, that I get so discouraged when people chose other things over Christ. And just maybe they are following their leader, if we are completely honest. No matter how badly you want someone to know Christ; they might want nothing to do with Him. Jesus has called us to build His Kingdom here on earth, not our own. It is amazing how easily we confuse the two. Discouragement is something we will always deal with in ministry. Jesus did, Paul did, the apostles did, and the early church did. Get use to it, but by all means do not give up on what God has called you to do and more importantly WHO he has called you to BE! These are just a few examples of what I rely on, and of course there are many other principles out there. So how do you deal with discouragement in ministry? I feel like this is a lesson I should have gotten somewhere along the way, in school, grad school or a conference, somewhere but it is a leadership lesson I have been learning on my own. 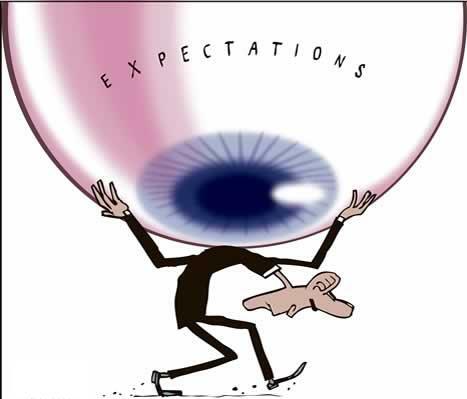 As a leader what are your expectations for the people you are leading? Often, I find the people I am leading do not meet my expectations. Which can be very frustrating for a leader; especially, when they are teenagers. Typically, we chalk it up to apathy or laziness and dismiss the possibly it could be our own fault they are not meeting our expectations. This has been a challenge for me over the last several years with our Student Leadership group. On the flip side there is nothing more discouraging than constantly trying to meet someones expectations you are unaware of. It can only lead to failure and frustration. This year, I decided to approach the expectations from a different angle. I created a covenant for the students and the parents to sign, laying out exactly what I expect from students serving in this ministry. After I handed out the expectations and asked them to sign and return, I had a conversation with a couple of our seniors in Student Leadership. They were wondering why this was necessary, not in an upset way but a curious way. They kind of understood these expectations. So I asked them specifically, did you know I expect you to… and I went through the list of expectations. Several they understood from the beginning, some they had figured out over time and one they did not even know. So why did it surprise me that my expectations often went unmet? In leadership, often our greatest frustration comes from unmet expectations. What if instead of looking at the people not meeting our expectations, we looked in the mirror at the one creating the expectations. Expectations not being met? Ask yourself, are your expectations clear? How do they know your expectations? Have you communicated the expectations clearly? There is a great difference between expectations being clear in your head and the expectations being clear in other people’s heads. So enter the covenant. Here is what I came up with for anyone in our Student Leadership group. What are your thoughts and/or feedback on the covenant? How do you clearly communicate expectations?